Up in Blackheath today Blackheath and Greenwich Group of Amnesty International are holding their annual booksale at the beautiful Church of the Ascension in Dartmouth Row. We are told that the group’s book sales are something of an institution. 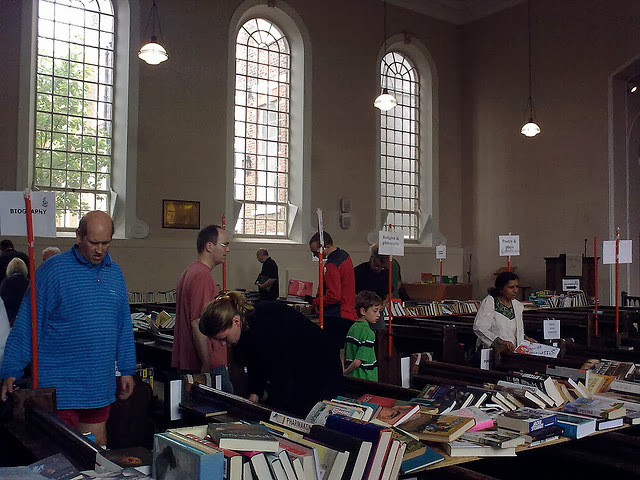 Now in their 39th year, they are Amnesty International’s most successful local fundraising event in the UK, featuring thousands of books and raising thousands of pounds. A couple of years ago I bought up heaps of books at this sale, at very reasonable prices. I have reviewed a number of them in my blog. Great stuff...you really do put the rest of us to shame Hels! Thanks for blogging about our book sale. We had a really good day and someone who came did say they'd read the blog post by you too! Pleased to be able to offer some tiny amount of support for such a great cause.